not a creature was stirring except Pierre because he’s a Westie and hyper times two. Barking from the Bayou is part of Chewy.com Influencer program. We receive monthly products to review in exchange for an honest review. Most good dogs were nestled, all snug in their beds while visions of Blue™ Santa Snacks® Crunchy Dog Biscuits from Chewy danced in their heads. They dream of oatmeal, cinnamon, whole grains, and fruits. Pups may smell carrots and pumpkins with their snoots! 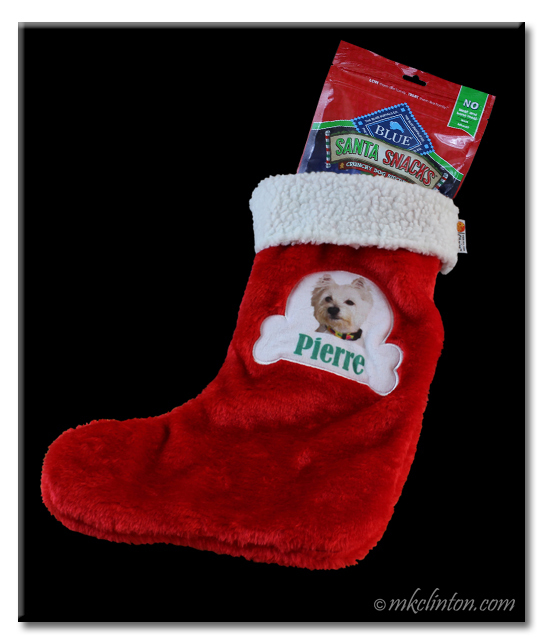 When at the front door there arose such a clatter, Pierre and I jumped from our beds to see what was the matter. but a Blue Chewy box and Santa Chewy were here! 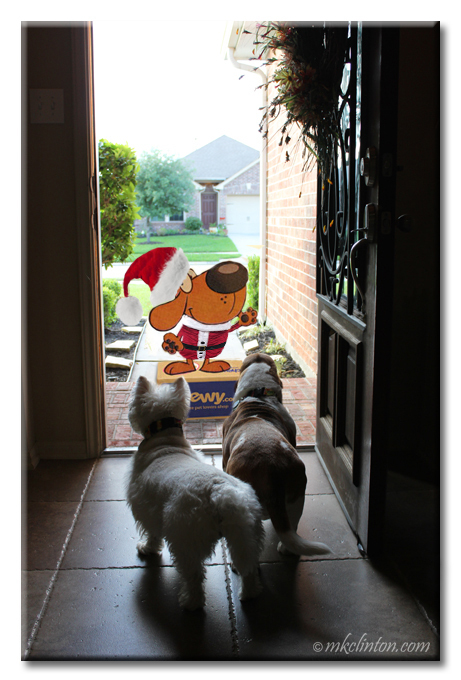 Chewy barked “Happy howl-idays and you’ve both been quite sweet. That is why I’m filling your stockings with this special treat. It’s Santa Snacks Crunchy Dog Biscuits. They are not only healthy and holistic but are yummy to eat. You’ll find holiday stars, Christmas trees, and gingerbread men shapes for the Yule. and he flew through the air like the hair from a hound. "No chicken! No poultry by-products! No corn, soy or wheat! “A Chewy Christmas to all and to all a good bite." 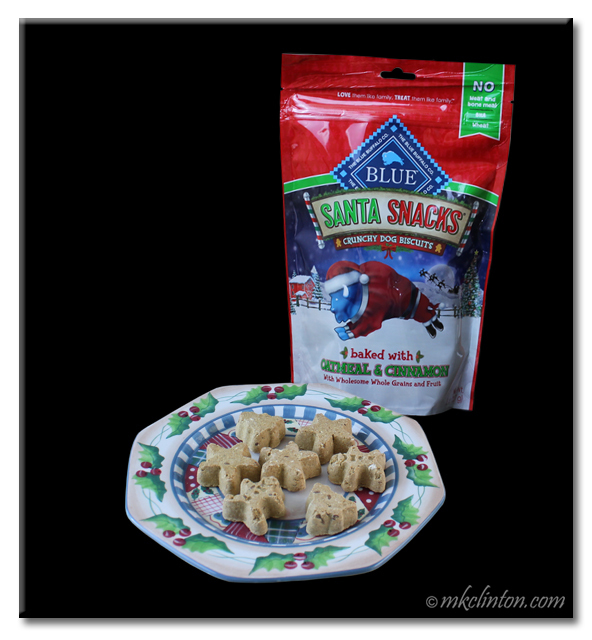 *This is a seasonal promotion but you can purchase Blue Buffalo treats year-round on Chewy.com. We love your month before Christmas story and those treats look sooooo yummy and festive! They always looks real festive, but this family food snob will not eat crunchy treats. Weird, I know, but that is what makes me a food snob! That was great! Chewy should pay you some big bucks and make a TV ad with that poem! What a fun way to review those treats - we love it!! It will be hard to remember that other version now. 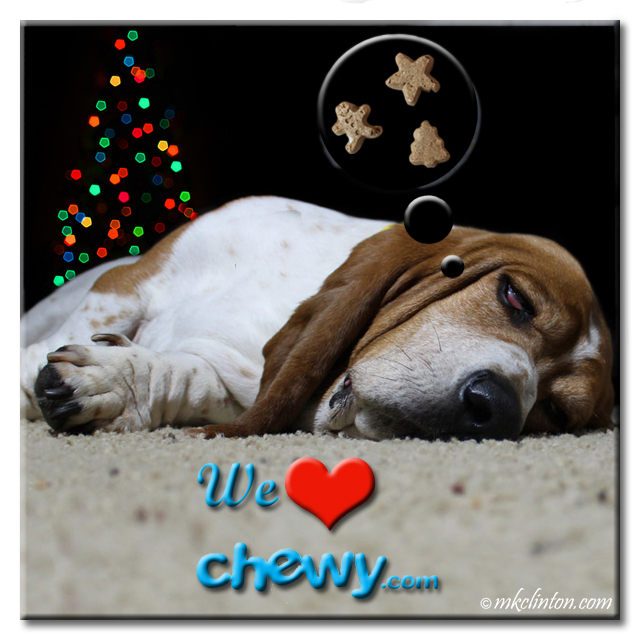 OMD..What a pawfect Christmas Chewy poem! We have those treats here too and we all love them. We think we spotted another bag in the treat cupboard. Chewy rocks!!! We love it when the Chewy's box arrives. Clever review boyz. Christmas came early for you two!